This list was created for those with a day or two to spend in the Swan Valley or those with overseas visitors that want to get the most out of a day. In the Swan Valley you can check off those big ticket items, Koala's and Kangaroo's, as well as a world-class wine region, breweries and fresh local produce. So here we go, our Top Things to do in the Swan Valley, written by a local who knows! Coffee & cake at Taylor’s Art & Coffee House - Perth's Best coffee & art gallery set in a wonderful old farmhouse. Rusty (and rustic!) old machinery is dotted around the venue, a nod to the "olden days" makes for an interesting stroll through whilst looking for the perfect table to claim for the morning. Food is casual yet homemade and tasty. Local artist Jude Taylor is on hand to show you her homewares, ladies handprinted designs on linen and silks and stunning Australian native landscape paintings. Breakfast & Lunch at RiverBrook @ Upper Reach; RiverBrook offers small plates and large platters to share and a la carte options. Set in one of the more beautiful spots on the Swan River Valley, overlooking vineyards. House of Honey – try their fantastic selection of honey samples and all things honey. Lots of fun for kids. Live beehive display behind glass- watch the bees make honey inside the shop. 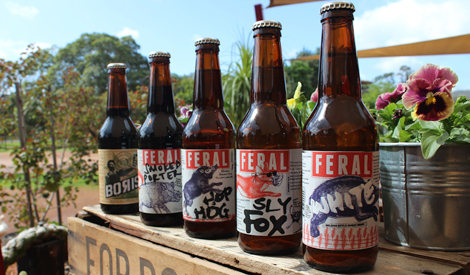 Feral Brewing - for the beer lover in your life. Tasting paddles of boutique beer and a great casual vibe. Feral is much awarded and have a devoted following ...so they must be doing something right! Open for dinner on the weekends. 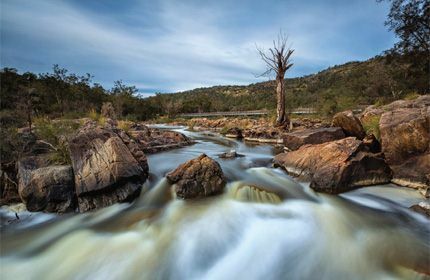 Nature walk at Bells Rapids; Stunning scenery bordering the Swan River, with plenty of space to relax next to the river, or even kick your shoes off and go for a paddle, after a more (or less) strenuous walk through the walking trails. Beautiful picnic location with BBQ and toilet facilities. There are plenty of photo opportunities, none more exciting than on the bridge over the rapids. Bells Rapids is dog-friendly. Oasis Supa Golf & Mini Golf; Supa Golf is a scream, who doesn’t want to play golf with a football-sized golf ball? Great for young and old! Mini Golf always classic family fun! Swan Valley Cuddly Animal Farm on John Street; lots of animals to pet and feed as well as a train ride that will take the little people around. Cuddle rabbits, bottle feed lambs and pet some chicks. A great place for small children and toddlers...create some terrific memories for the littles. P.S- pony rides! Caversham Wildlife Park, the best place to see more kangaroos together than you’ve ever dreamed of! Get up close and personal with koalas, and snap a selfie. Hand feed the kangaroos and cuddle a wombat. 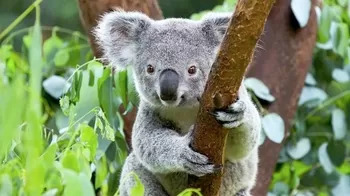 They have loads of native Australian animals, some you can pet and hold, sheep shearing, cows being milked –fun for children and adults of all ages! Recommended visiting in the early morning to allow time for lunch in the afternoon. Margaret River Chocolate Factory- Chocolate and ice cream- what’s not to love? When your pallet needs a break from all of the wine you have been tasting, you need to finish on a sweet note. Free chocolate samples and wonderful selection, you'll be a kid in a....candy store?!? Winery Tours at Upper Reach Winery. Walk the vineyard, discovering the grape varieties that make the Swan Valley region so special then tour our working winery, wine tasting as you go while learning the whole winemaking process. Sample the wines directly from tank or barrels, like the winemaker. Enjoy a relaxed 2-course lunch with sweeping views of the vineyard; one of chef’s fabulous shared platters (your choice of 3) and a seasonal dessert, tea and coffee. Finish up with a tasting of Tawny and Muscat dessert wines at Cellar Door and some shopping. The cellar door is full of locally made produce, honey, truffles and preserves which make perfect gifts. There is so much to see and do in the Swan Valley- one day is not enough...we recommend at least an overnight stay at Upper Reach Spa Cottage to really make the most of your visit. We look forward to welcoming you to the Swan Valley! Have you ever been confused about which wine should go with which food? It can be pretty daunting when you don't know the rules. But here's the rub....there are no rules!! The only rules we know of are to have fun with it, don't take it too seriously and enjoy experimenting. Here are some tips we've come up with to get you started, however, pairing wine with food is a very personal thing and if you have a favourite combination, then stick with it and don't let anyone tell you otherwise! Rule #1 - As we pointed out in our intro, there are no rules. Be brave, try anything and enjoy the process! Rule # 2 - When in doubt, Sparkling wine goes with everything. Try it with popcorn, fish & chips at the beach, Thai curries, roast chicken and anything salty. It's traditionally superb with seafood but is also bosom buddies with fruits, nuts and most meats. Pairing your favourite Sparkling (which would have to be a Sparkling Chardonnay) with a freshly-baked loaf of bread will enhance the delicious yeasty, bread-like aroma which comes from the secondary fermentation in the bottle. Rule # 3 - Acidic foods are great with light-bodied young whites. Salad dressings, tomatoes, citrusy sauces – these things can overwhelm or dull a lot of wines. Light, tangy whites handle it best. Sauv blanc is a good bet, but the Upper Reach 2018 Verdelho is even better. A dry verdelho is such a terrific food wine, it goes with anything from fresh seafood to a pork belly. Rule # 4 - Yes, you can pair red wine with white meat and vice versa. Pinot Noir is great with roast turkey, salmon and other fatty fish. White wine with red meat is a bit more of a challenge, but aged white wines (and we have a few in our Museum Cellar) - or Sparkling wines - can hold their own with a steak or a leg of lamb. The rule of thumb here is "red meat, red wine; white meat, white wine" but as we pointed out right at the beginning, this rule can be defied any time you like! Rule # 5 - With spicy foods, some residual sugar is your friend. The cuisines of Thailand, India, & Mexico, for example, use lots and lots of chilli peppers in their food and breaking open your best Cabernet Sauvignon is NOT going to do your burning taste buds any favours! Aromatic and slightly sweet whites and pinks will balance highly-spiced foods best. We love drinking our Black Bream White and Black Bream Pink with our favourite Thai food. Give it a try - we can certainly vouch for it! Rule # 6 - Tannins need fat! If you're a steak lover, this is the bit you've been waiting for. But before we start cranking up the barbie, a very valid question is "what IS a tannin"? It’s the astringent component in red wine that gives it structure. This needs fat for balance, fat will soften the tannins and bring a smoother feel. Serve a bold, beautiful red like the 2015 Cabernet Sauvignon with a nice fatty piece of Prime Rib. Salivating already? Order the wine and then call your local butcher! Rule # 7 - Your very own quirky, personal preferences rule the rules. And, as we mentioned in Rule # 2, when in doubt go for bubbles. You don't need a PhD, all you need is a few bottles in your cellar to get you started, somebody to cook for you and a few friends to pat you on the back when you tell them you've completed the Upper Reach Beginner's Guide to Food & Wine Pairing. Enjoy!